ARRL Headquarters Will Be Closed on November 24-25: ARRL Headquarters will be closed for the Thanksgiving holiday on Thursday and Friday, November 24-25. The ARRL Letter will not publish on Thanksgiving Day, Thursday, November 24, and there will be no ARRL Audio News on Friday, November 25. In addition, there will be no W1AW bulletins or code practice on those days. We wish all our members a safe and enjoyable holiday! ARRL once again is calling on its members to urge their US Senators to support the Amateur Radio Parity Act (H.R. 1301) when it comes up in the Senate during the "lame duck" session of Congress that adjourns in mid-December. The House of Representatives approved the bill in September, but if the Senate does not follow suit, the bill will die, and the entire process will have to be repeated. ARRL Hudson Division Director Mike Lisenco, N2YBB, who chairs the ARRL Board's Legislative Advocacy Committee and has been heavily involved in efforts to move H.R. 1301 forward, said today, "The clock is ticking!" "We begin the e-mail campaign once again, as the US Senate returns to work this week after a month-long hiatus," Lisenco said. "We were just beginning to build momentum in the Senate following the unanimous passage of the Parity Act in the House when Congress shut down for the 4 weeks prior to Election Day." "We have to remind our legislators that we are still here and that we need the Amateur Radio Parity Act to become law," Lisenco stressed. "We must do this now as we have, at most, only 4 weeks left in the session to get the bill passed this year. Otherwise, we will have to begin the entire process in 2017 with a new 115th Congress." There are no guarantees, Lisenco said, and we are subject to the political bickering that goes on daily between the parties, despite the fact that the bill is truly a bipartisan effort. "In order to have a chance at overcoming political obstacles that have little or nothing to do with the legislation, we need our voices to be heard," he said. "And we need that input today!" September's victory in the US House was the culmination of many years of effort on ARRL's part to gain legislation that would enable radio amateurs living in deed-restricted communities to erect efficient outdoor antennas that support Amateur Radio communication. The measure calls on the FCC to amend its Part 97 rules "to prohibit the application to amateur stations of certain private land-use restrictions, and for other purposes." While similar bills have gained some traction on Capitol Hill in the past, it was not until the overwhelming grassroots support from the Amateur Radio community for H.R. 1301 and ARRL's relentless and strident efforts on Capitol Hill that this bill made it this far. Read more. Work continues to promote the visibility of Amateur Radio enforcement within the FCC, the ARRL Executive Committee (EC) was told recently. The EC met on October 22 in Rosemont, Illinois. ARRL President Rick Roderick, K5UR, chaired the session. ARRL General Counsel Chris Imlay, W3KD, reported that meetings have been held with the FCC concerning more effective FCC use of the volunteer resources of the Amateur Auxiliary (Official Observers) program, the current FCC-ARRL Amateur Auxiliary Agreement, and the development of a new Memorandum of Understanding that better incorporates the Amateur Auxiliary program -- especially in light of the FCC's recent closing of field offices and reduction of Spectrum Enforcement Division staff. In other FCC-related issues. The EC provided guidance in the domestic implementation of the worldwide Amateur Radio allocation at 5 MHz, agreed upon at World Radiocommunication Conference 2015 (WRC-15) last fall: 5351.5-5366.5 kHz, with stations limited to 15 W EIRP. Imlay, in conjunction with ARRL International Affairs Vice President Jay Bellows, K0QB, and Midwest Division Director Rod Blocksome, K0DAS, will review the National Broadband Plan, with an eye toward determining any impact it might have on Amateur Radio allocations. In addition, Imlay and West Gulf Division Director Dr. David Woolweaver, K5RAV, will meet with officials of the Federal Aviation Administration (FAA) and congressional offices to address the effect of new painting and lighting requirements required under the FAA Reauthorization Act (H.R. 636) on Amateur Radio antenna systems between 50 and 200 feet tall. ARRL CEO Tom Gallagher, NY2RF, told the panel that several new educational initiatives are under way, and, as those pilot programs are assessed and refined, the programs will be made available to the Amateur Radio community. In his report, Bellows told the EC that the IARU Administrative Council has begun preparations to represent Amateur Radio at various meetings being held in advance of World Radiocommunication Conference 2019. Members of ARRL Headquarters staff will be on the air as W1T, November 28-December 4, in honor of Mark Twain's 181st birthday. 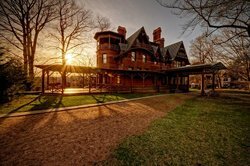 On November 30, Twain's actual birthday, the Mark Twain House and Museum in Hartford, Connecticut has granted permission for a special event station to be set up in the front yard of the house from 9 AM until 4 PM EST (1400-2100 UTC). Born in Missouri in 1835, Twain lived in Hartford from 1874 to 1891 and wrote many of his greatest works during that time, including The Adventures of Tom Sawyer, Adventures of Huckleberry Finn, and A Connecticut Yankee in King Arthur's Court. The Mark Twain House and Museum in Hartford, Connecticut. "We are so excited to have our neighbors at ARRL with us on Mark Twain's 181st birthday!" said Betsy Maguire, Manager of Living History at the Mark Twain House and Museum. "This is a rare treat for the Museum staff, our visitors and, hopefully, many amateur operators across the country who make contact with the station. As a lover of the science and technology of his day, Samuel Clemens would definitely approve of a 'special event station' on the grounds of 'the loveliest home that ever was.'" W1T activity on November 30 will be exclusively from the Mark Twain House and Museum; all other W1T activity during the week will be conducted from other sites, as ARRL staff time permits. All bands and modes will be considered, including satellite operation. A special W1T QSL card will be available to commemorate the event. Complete information is available on the W1T listing at qrz.com. Texas radio amateur and FCC Part 5 Experimental licensee John Langridge, KB5NJD/ WG2XIQ, reported "an amazing night" for the 630-meter special event on November 12-13. One highlight was a North America-to-Europe Amateur Radio contact on the medium-wave band, to which US operators are still awaiting access. "Last night is what it is all about, and I had a front row seat for the festivities," Langridge said in his lengthy post-event report, adding that the activity represented "a significant moment in 630-meter lore." The weekend event featured participation by the Marine Radio Historical Society's KPH, Canadian radio amateurs making cross-band contacts with US stations, and Part 5 Experimental stations either beaconing or contacting other experimental stations. Langridge credited radio amateurs in Canada, who already have access to the 427-479 kHz band, with playing "a massive role" in providing cross-band QSOs; advance publicity also helped, he said. 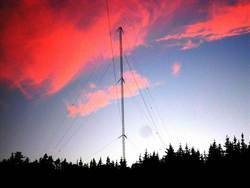 Newfoundland MW enthusiast Joe Craig, VO1NA, completed a contact on CW with Kees Nijdam, PE5T, in the Netherlands. Langridge said the contact was among only a handful of transatlantic CW contacts completed so far on 630 meters. Others in Europe reported hearing VO1NA. Mitch Powell, VE3OT, worked several other North American stations cross-band, with all contacts -- from Maine to Iowa to Alabama -- taking place on 80 meters. Many stations in the western US were also successful in working or hearing stations in British Columbia. In Australia, Roger Crofts, VK4YB, reported "horrid conditions," with just a single transpacific report. Laurence Howell, KL7L/WE2XPQ, in Wasilla, Alaska, reported a lot of noise on VLF and warble on HF signals, with periods of total blackout overnight. Merv Schweigert, K9FD/WH2XCR, in Hawaii, experienced a spectacular night with stations in Japan. "We live in a time when a lot of people want the easy way out, and there is nothing easy about 630 meters, even when the band is in good shape," Langridge said. Read more. "Stealth Antennas" is the topic of the latest (November 17) episode of the "ARRL The Doctor is In" podcast. Listen...and learn! Participants in ARRL's National Parks on the Air (NPOTA) continue to push toward 1 million two-way contacts from eligible NPOTA units before the program ends on December 31. For the fourth straight week, more than 25,000 NPOTA contacts were uploaded to Logbook of The World from some 16,000 activations of NPS units. Time is running out for you to get in on the NPOTA fun! Get on the air and give some of the Activators a contact toward the 1 million-contact goal, or try activating an NPOTA unit yourself; many units can be activated using a mobile station in the parking lot. Twenty activations are slated for November 17-23, including the Ana Kahakai National Scenic Trail in Hawaii, and Biscayne National Park in Florida. Details about these and other upcoming activations can be found on the NPOTA Activations calendar. The second half of the 2016 ARRL November Sweepstakes -- the phone weekend -- is November 19-21. The event begins on November 19 at 2100 UTC and continues through 0259 UTC on November 21. ARRL Sweepstakes Manager Larry Hammel, K5OT, advises SS newcomers to learn the required, lengthy exchange in the correct sequence. "Write the exchange down on a card in front of the rig if necessary," he said. "There is no need to repeat it all twice; say it clearly one time, and the other station will let you know if they need any 'fills' of information they missed." He also said not to invest too much time trying to work a rare multiplier that has attracted a pileup. "Put that frequency in your rig's memory -- or second VFO, or your logger's bandmap -- and pop back later when things slow down a bit," he said. "You can use that waiting time productively to look for other stations to work." ARRL partner RFinder, the creator of a web and app-based directory of Amateur Radio repeaters worldwide, will supply all data for the 2017-2018 ARRL Repeater DirectoryÂ®. RFinder will employ its crowdsourcing technology to aggregate timely and accurate information for the Directory, marking the first time crowdsourcing has been put to use in the production of an ARRL publication. "Crowdsourcing," in this case, means repeater owners and frequency coordinators. Including RFinder's data in The Repeater Directory will help users seeking the most complete listing of on-air repeaters. The Repeater Directory will continue to publish listings by state, city, frequency, and mode. 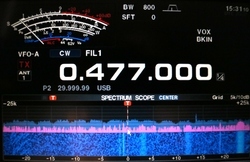 Although RFinder's data is primarily user supplied, ARRL has invited volunteer frequency coordinators to contribute their coordination data to RFinder. RFinder has set up an online portal to accept coordinator input. Every coordinator supplying repeater data to RFinder will have its listings credited as coordinated repeaters in both the RFinder smartphone apps and web listings, and in the hard-copy Repeater Directory. "We believe this will help you in your coordination activities, as it will provide you with a complete map of machines, both coordinated or not," RFinder said. "It will also assist coordinators to bring uncoordinated machines into coordination." RFinder's steadily growing worldwide repeater database now includes more than 60,000 repeaters in some 170 countries around the globe. RFinder listings are dynamic, regularly reflecting new, updated, revised, and deleted information. RFinder also includes the ability to report radio jamming anywhere. Those without a device or subscription can file reports online. Those responsible for coordinating anti-jamming activities also can request access to view jamming reports for their area. ARRL previously discontinued its own products that supported digital listings of repeater data including the TravelPlus for Repeatersâ¢ software and its own apps. RFinder is $9.99 per year. Subscribe to RFinder from your iPhone, iPad, iPod Touch, or from your Android smartphone or tablet. RFinder recently collaborated with the BrandMeister network of Amateur Radio digital voice systems to include a daily data feed of digital repeaters. Digital repeaters are now categorized in RFinder by network, and RFinder's Android and iOS apps can provide information on BrandMeister networked repeaters worldwide. The daily data feed from BrandMeister includes both repeaters and talk groups. RFinder also now supports automated repeater coverage maps for the newly released BrandMeister dashboard, active once repeaters sysops enter their repeater information on BrandMeister. RFinder generates its coverage maps using CloudRF technology, developed by Alex Farrant, M6ZUJ. With just 6 months to go until HamventionÂ® debuts at its new Greene County Fairgrounds and Event Center venue in Xenia, Ohio, May 19-21, General Chair Ron Cramer, KD8ENJ, and Dayton Amateur Radio Association (DARA) Board Member Mike Kalter, W8CI, assure that all is progressing smoothly. Cramer and Kalter made another appearance this week on Amateur Radio Roundtable, hosted by Tom Medlin, W5KUB, to update progress on preparations for the all-new Hamvention. Cramer and Kalter said they continue to be bombarded with questions, concerns, and rumors regarding how the event will be staged. "You have to remember, we're starting from the ground up," Cramer said. "So it's taken a while to get things going." He asked for patience from prospective visitors, but he and Kalter told Medlin that the vast all-volunteer team has everything well in hand, and that plans are coming together. Both maintained that those attending Hamvention 2017 "will be very impressed." Cramer said Hamvention 2017 tickets will become available starting in December -- a bit earlier than in past years. The cost of admission will rise by $2 from the 2016 price of $20 for advanced tickets, and $25 for those purchased at the gate. But, he pointed out, there will be no parking charges on site. Hamvention announced in August that it would be relocating to Xenia, following the closure of Hara Arena, where the show took place for more than 50 years. The Amateur Radio Roundtable show included a DX Engineering-produced video taken from a drone operated by Greg Ordy, W8WWV, and narrated by DX Engineering's Tim Duffy, K3LR. Read more. ARRL Honorary Vice President and Director Emeritus Tod Olson, K0TO (ex-W0IYP), of Minnesota and Idaho, died on November 12 after battling cancer for several years. An ARRL Life Member, he was 83. He began his volunteer service to ARRL in 1974 as the Minnesota Section Communications Manager. He became Dakota Division Vice Director in 1976, and then Director in 1982. In 1986, the ARRL Board of Directors elected him as ARRL Vice President of International Affairs, a post he held until 1990. 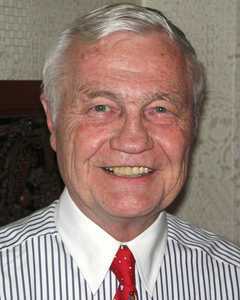 He again served as Dakota Division Director from 1994 until 1999. The ARRL Board of Directors named him an ARRL Director Emeritus in 2000. In recognition of his extraordinary contributions, the Board elected him as Honorary Vice President in 2003. Olson held a BS from the University of Minnesota, and an MPH from the University of Michigan. He belonged to the Minnesota Wireless Association and the Eagle Rock Amateur Radio Club. An active contester, he was inducted last May into the CQ Contest Hall of Fame. "A lifelong interest in technology influenced Tod's career as well as his choice of avocation; he retired in 1991 as Director of the Information Technology Department at General Mills. As he opened the envelope from the FCC containing his first license [in 1952], it is unlikely that even Tod could imagine where Amateur Radio would take him, but he tackled his new avocation with the same energy and devotion as to family, career, and community. The Amateur Radio community was enriched by his selfless efforts, and his life was enriched in return. "As W0IYP, Tod soon began making his mark through local radio clubs and on-the-air activity. 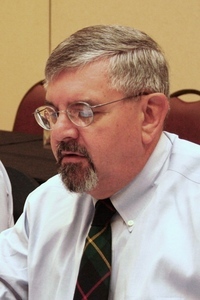 His passion for competitive operating, particularly in the ARRL November Sweepstakes, led him in 1973 to be the founding editor of National Contest Journal (NCJ). He was inducted into the CQ Contest Hall of Fame largely on the strength of his vision for NCJ. "Tod served on every standing committee of the ARRL Board and twice was chairman of the Administration & Finance Committee. "In retirement, Tod and Jackie divided their time between Minnesota and Idaho, and it was in Idaho Falls that Tod chose to enter hospice and to spend his final weeks with Jackie and other family members. His countless friends in Amateur Radio send their condolences to the family and our thanks for having shared him with us for so many years." A memorial service will be held in Minnesota. Read more. Two Radio Amateurs Set to Join ISS Crew: Astronauts Peggy Whitson, KC5ZTD, and Thomas Pesquet, KG5FYG, and Cosmonaut Oleg Novitskiy head into space on November 17 for a 6-month stay aboard the International Space Station. It will take the Expedition 50/51 crew members 2 days to reach the ISS in their Soyuz vehicle. 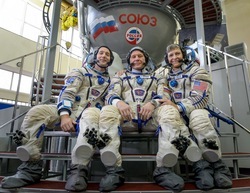 Welcoming the new crew increment will be Expedition 50 Commander Shane Kimbrough, KE5HOD, and crew members Sergey Ryzhikov and Andrey Borisenko, who have been aboard the complex since October. Whitson will become the first woman to command the space station twice. Her first tenure as commander was in 2007, when she became the first woman to hold this post. World War II effort, then taught the code to pilots through the British Commonwealth Air Training Plan. Today, she still enjoys Morse code on the air. Newcomer Smith, 91, who lives in an assisted living facility in Gun Barrel City, Texas, was inspired by the Rev. George Yarger, W5BRG, who spoke of Amateur Radio's role in disasters and emergencies. Smith worked with the activity director at her residence, Cedarview Place, to get her license, along with three other residents, according to an Athens Daily Review report. She passed her Technician exam on November 2. SKYWARN Recognition Day Webinar Set: A webinar will be offered on November 30 at 0100 UTC (the evening of November 29 in US time zones) in advance of the 18th SKYWARN Recognition Day (SRD) on December 3. Register online. Developed in 1999 by the National Weather Service (NWS) and ARRL, SRD celebrates the contributions that SKYWARN volunteers make to the mission of the NWS -- the protection of life and property. During the SKYWARN Special Event, operators visit NWS offices and contact other radio operators across the world. The pre-event webinar will cover SKYWARN Recognition Day basics, explain how to participate, and alert participants to a few changes in store for 2016. The webinar will be recorded and posted to the ARRL YouTube channel afterward. Tad Cook, K7RA, Seattle, reports: Solar flux and sunspot numbers went in opposite directions over the past week, and differences were more extreme than usual. Typically, we expect daily sunspot numbers to track solar flux, and geomagnetic indices to track as well -- at least approximately. Average daily sunspot numbers over the November 10-16 reporting week rose 10 points from 18.7 to 28.7 from the previous reporting week, while average daily solar flux dropped from 76.9 to 45.8 over the same period. Over the same dates, the average planetary A index increased from 6.4 to 12.7, while the mid-latitude A index rose from 4.3 to 10.1. 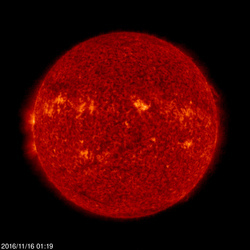 Predicted solar flux values for the near future are 83 on November 17-18; 82 on November 19; 83 on November 20-21; 80 on November 22-23; 75 on November 24; 78 on November 25-26; 80 on November 27; 82 on November 28-December 1; 84 on December 2; 82 on December 3-7; 80 on December 8-9; 78 on December 10; 75 on December 11-15; 77 on December 16, and 75 on December 17-21. The predicted planetary A index is 5 on November 17-18; 14, 18, 48, 36, and 28 on November 19-22; 28, 18, 25, 18, 12, 10, and 8 on November 23-29; 5 on November 30-December 6; 15, 12, 18, 20, 15, and 10 on December 7-12; 5 on December 13-15; 10, 15, 55, 45, and 25 on December 16-20, and 25, 18, 12, and 10 on December 21-24. Sunspot numbers for November 10 through 16 were 13, 26, 51, 38, 26, 29, and 18, with a mean of 28.7. The 10.7 centimeter flux was 80.2, 78.4, 78.4, 77.8, 77.3, 76.5, and 80.9, with a mean of 45.8. Estimated planetary A indices were 14, 13, 19, 21, 11, 7, and 4, with a mean of 12.7. Estimated mid-latitude A indices were 11, 10, 13, 19, 8, 7, and 3, with a mean of 10.1. Spaceweather.com reports the solar cycle is currently at its lowest level in 5 years. ARRL November Sweepstakes SSB is this weekend. Were you active in the CW Sweepstakes? Send me reports of your observations.